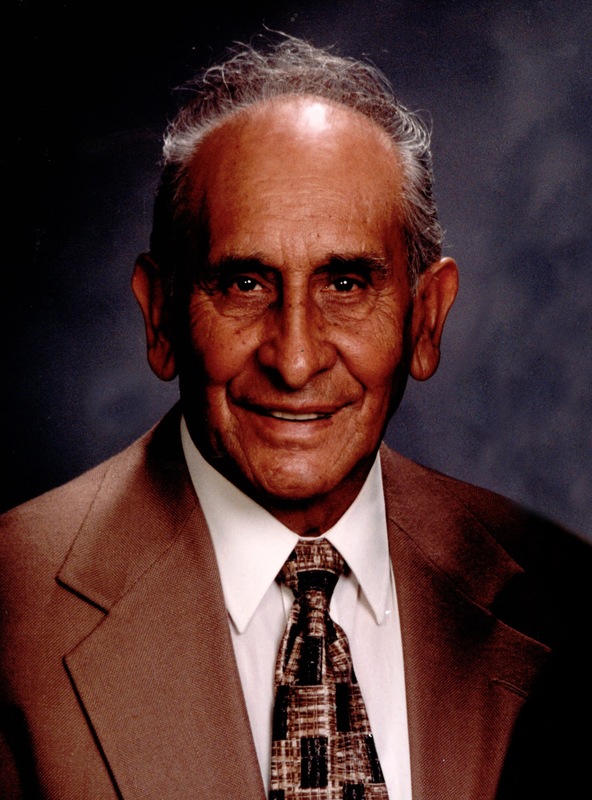 Frank C. Luna, 95, passed away Friday, June 22, 2018, in Mesa, Arizona. He was born on April 2, 1923 in Carlsbad, New Mexico. He is survived by his daughters; Rosa Adame, Sally Cobos (Rene), and Irma DiDomenico; his sons, Jerry (Dee), James (Lucy), and Gary (Veronica); 24 grandchildren, and 19 great-grandchildren. He was preceded in death by his loving wife, Fidencia G. Luna, and his daughter, Zela Luna. Funeral services will be held at 10:00am on Saturday, June 30, 2018 at The Church of Jesus Christ of Latter-day Saints, Lazona Ward, 1345 E University Dr, Mesa, AZ. Services will be preceded by a visitation at 9:00am. Burial will be at the City of Mesa Cemetery, 1212 N Center St, Mesa, AZ.